The Albers Foundation: In 1971, Josef Albers established a not-for-profit organization to further “the revelation and evocation of vision through art.” Today, this organization—The Josef and Anni Albers Foundation—is devoted to preserving and promoting the enduring achievements of both Josef and Anni Albers, and the aesthetic and philosophical principles by which they lived. 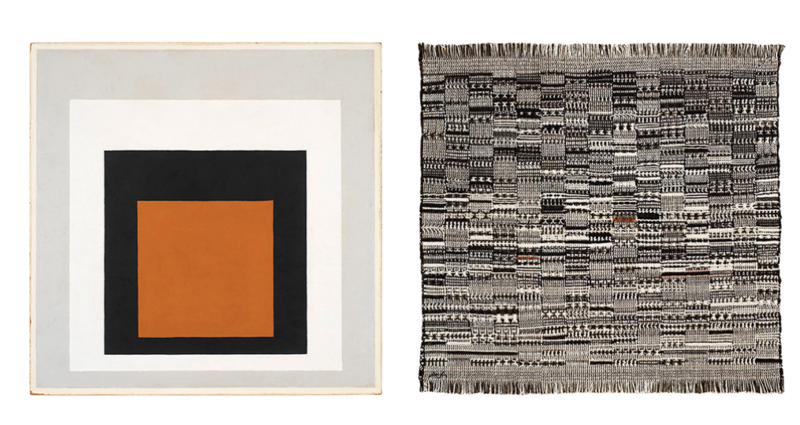 It serves as a unique center for the understanding and appreciation of the arts and of all visual experience—with the combined legacies of Josef and Anni Albers at its heart. the text above and images of Josef and Anni’s work is extracted from the Foundation website.